As 5G rollouts begin worldwide, WiFi technology is also set to improve considerably. 5G represents a telecommunications revolution rather than an evolution. But, in order for this revolution to take place, 5G will have to make use of a variety of different technologies in an ecosystem of heterogeneous networks. It won’t be limited to mobile technology, but will include new as well as existing access technologies, including satellite, fiber, and WiFi. Unlike 3G and 4G, where enhanced broadband was the only use case, 5G will address a broad range of new use cases from augmented reality to IoT and Smart Everything. There is no doubt in my mind that WiFi will play an important role in this ecosystem, acting as the link between fixed and mobile networks. In this context, I’d like to highlight that service providers must focus on improving existing WiFi services to ensure customer satisfaction and maintain market share, but they can also reap the benefits of offering a broader portfolio of services to existing clients, as well as meeting the needs of new verticals. There are six key trends that I believe WiFi players should be taking into account right now. The first of these is related to the boom we have seen in home WiFi solutions. These solutions address customer experience issues, such as interference and coverage. Unfortunately, as consumers we have all experienced the frustration of poor WiFi performance at home, as we try to connect more devices in more rooms of our homes. Operators are conscious of these problems and are starting to react accordingly. While OTT providers are already targeting the consumer segment, communication service providers (CSPs) are searching for end-to-end solutions that will allow them to not only improve customer experience but also to maintain visibility and control over the experience of their subscribers. Out of the home, WiFi has also become vital in most enterprise environments and will continue to enable new ways of working. The growing popularity of mobility initiatives such as Bring Your Own Device (BYOD) presents a huge opportunity for providers of cloud-managed WiFi-as-a-service. In fact, according to the Wireless Broadband Alliance, the market for cloud-managed enterprise WLAN infrastructure and managed services is expected to triple from 2015-2020, growing from $1.1 billion to $3.3 billion. In order to maximize this opportunity, service providers should opt for a flexible, multi-tenant platform that facilitates the centralized management of the corporate networks of multiple clients at the same time, whilst they maintain complete visibility and control over the service they are providing. Another important trend to consider is the rise of machine learning algorithms that are facilitating better WiFi connections. More data is being processed, and algorithms that can learn, make predictions, or make decisions based on the inputs are key in order for service providers to extract value from it. This grants real-time monitoring of network performance, making it easier to identify issues as well as anticipate them and potentially implement corrective measures before a problem occurs. Delivering better performance will have a direct impact on customer satisfaction, bringing many benefits to the provider including reduced churn. One of the most important changes in the industry is that CSPs are becoming digital companies with an increasing range of services. Operators are using WiFi value-added services to target new verticals such as IoT, Smart Cities, MDUs, and transport. In addition to offering new, innovative services to end users, digitization means delivering these services in a way that gives the end user more visibility and control over their management, for example through easy-to-use apps. Selling managed guest WiFi services to businesses and venues represents an exponential opportunity for growth. People expect to be continuously connected, and guest WiFi can help businesses to attract customers. In fact, IGR reports that businesses see a 72% success rate in increased sales after implementing free WiFi. In the context of falling ARPU, operators are looking for new revenue opportunities, and offering guest WiFi services is one way they can drive new revenue for CSPs. But in addition, selling these services gives them the chance to further engage with high-value enterprise customers. In addition to providing connectivity, they want to gain valuable insights about their own customers by offering guest WiFi services. Finally, WiFi is enabling cost-effective MVNO approaches and improved customer satisfaction through increased coverage. WiFi has an increasingly important role within the MVNO scope. 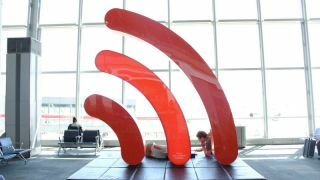 Operators in the US are already broadly using WiFi networks to enable WiFi-First strategies, and this is picking up speed in other regions too. MNOs and MVNOs can also use WiFi to increase coverage, especially indoors, and therefore provide a better customer connectivity experience. In venues such as stadiums, car parks or shopping centres where coverage tends to be limited, offering WiFi connectivity can deliver significant customer satisfaction. It’s important to highlight that the WiFi industry isn’t static. In fact, it’s continuously evolving towards more powerful standards such as 802.11ax and 802.11ay. As our collective demand for connectivity rises, I believe that WiFi will remain an essential technology that enables service providers to meet the needs of their clients and customers in a cost-effective way. It will also open the door to many additional revenue opportunities. Operators and enterprises interested in taking advantage of the benefits of WiFi must look for a reliable and agile technology provider, such as Fontech, with the expertise and ability to deploy flexible WiFi solutions fast.